The de Havilland Mosquito was arguably the best British plane of World War II, the war’s most effective fighter-bomber and one of the most versatile military planes ever built. That’s why it’s strange so few of the wooden, twin-engine machines appear at air shows. There are currently only three airworthy Mosquitos in the world. A group of British engineers are trying to change that by bringing a Mosquito back from the dead. Since 2012, the U.K.-based People’s Mosquito project has raised funds and begun working to restore an ex-Royal Air Force Mosquito which crashed in 1949, was buried and then recovered 61 years later. Britain produced a lot of twin-engine Mosquito variants during the war and in the immediate post-war years. There were reconnaissance Mosquitos equipped with “photoflash” bombs, bomber variants and a version called Tsetse equipped with a 57-millimeter anti-tank gun. There was the “Sea Mosquito” torpedo bomber and several Mosquito fighter variants … and others. Two crew members, squeezed into a tight cockpit, served as the pilot and navigator. The Mosquito began production in 1941, but emerged into its own in 1942 by performing many different missions in Europe, North Africa and Burma. In 1943, Mosquitos raced ahead of British bomber formations into Germany, drawing away Nazi interceptors and relying on speed and maneuverability to escape. A few even fought in Israeli service during the 1956 Suez Crisis. 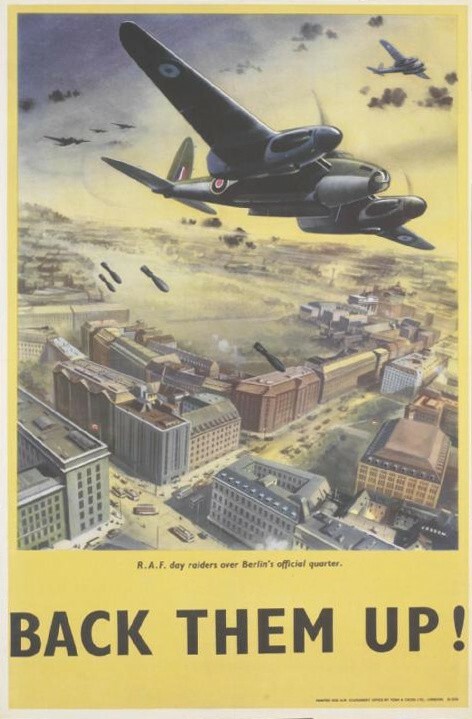 Mosquitos would also carry out their own raids en masse over Germany, including dropping 4,000-pound blockbuster bombs in harassment attacks. The aircraft had a fitting name, as the Mosquito was a fast, annoying little sucker and hard to swat. The specific Mosquito that Sharp and his team is restoring is an NF.36 — a night-fighter version that came with a U.S.-made AI.Mk X radar and two powerful Rolls-Royce Merlin 113/114 engines capable of generating 1,690 horsepower each. The Mosquito’s maximum speed was around 366 miles per hour, with some give or take depending on the variant, payload and altitude. For a time, it was one of the fastest planes anywhere in the world. On Feb. 14, 1949, the NF.36 fighter RL249 suffered failures in both engines after takeoff and crashed near RAF Coltishall in Norfolk. Sgt. W.B. Kirby, the plane’s navigator, later died from his injuries. RL249's remains were recovered in 2010, but the pieces are almost entirely unusable. Instead, the People’s Mosquito team is building — largely from scratch — a Mosquito FB.VI variant, a highly-configurable fighter-bomber. The plane will thus be a “data plate restoration,” meaning the airframe, wings and engines will be fresh, but it will also contain some non-structural bits from the original RL249. The original Mosquitos did not contain data plates. But that’s not necessary for the team to get the finished aircraft certified as a restoration. “Providing you possess everything that is left of that aircraft, legally you are in possession of what our civil aviation authorities call ‘the mortal remains’ — that’s the technical term — and you can then restore it,” Sharp said. Sharp and his team know a thing or two about aircraft. Sharp is an aviation consultant, anti-corrosion specialist and a former curator for several British aviation museums. Bill Ramsey, the project’s operations manager, is a retired Avro Vulcan bomber pilot and a former commanding pilot with the Red Arrows, the RAF’s aerobatics team. There’s a reason the team is building a plane with an original airframe. Not counting the three flying Mosquitos, there are around 30 more sitting in museums — but those survivors are unlikely to pass safety tests were anyone to try restoring them to airworthy status. Sharp explained that while the Mosquito is made of wood, a milk-based glue holds the sandwiched fuselage together. So not only is the age of the wooden, museum-piece airframes a concern, the glue decays over time. Basically, that means those planes would likely have to be practically rebuilt anyways. It makes more sense to simply build a new fuselage. With modern tooling and the original blueprints, which the team possesses, it’s possible to build a better one. The Mosquito’s Rolls Royce Merlin engines are also still available, and the team has access to the world’s only existing Mosquito fuselage molds in New Zealand via a license. The teams plans for the plane to be indistinguishable — at least outwardly — from a war-time Mosquito. They’re even using spruce wood from the same Canadian forest which went into the original aircraft. But they must make several upgrades to allow the plane to operate in modern skies. The Mosquito is an extremely cramped plane, perhaps even by the standards of World War II, leaving little room for the electronics, communications gear and anti-collision systems aboard modern aircraft. However, there’s a way to find the extra space. It’s “highly likely” the Mosquito FB.6’s four nose-mounted .303 Browning machine guns will not be included in the team’s finished version, according to Sharp. Currently, the project is seeking volunteers and donations, and the team is chronicling progress on their website. Sharp estimates the final cost to be around £7 million. It’s still early days, and the People’s Mosquito’s immediate goal is finishing work on the wings’ wooden skeletons. Once the plane is complete, the team plans to reconfigure it for different roles when the aircraft goes on traveling display. That should be simple enough, given the Mosquito’s multi-role nature. At that point, the biggest expense will be repainting the plane to match the different configurations. “It wasn’t just a bomber or a fighter, night fighter, fast courier aircraft, naval attack aircraft and torpedo bomber, target tug, preeminent photo reconnaissance aircraft with a range of more than 3,400 miles — it was all of these and more,” Sharp said.